New appendices listing "Positive Psychology Movies for Children, Adolescents, and Families"; "Movies of the Year" for recent years; and "Positive Psychology Short Films"
Updated charts, references, practitioner resources, and more! For educators, researchers, and anyone striving for personal growth and a fulfilling life! This completely revised edition of the popular Positive Psychology at the Movies provides a unique way to learn and appreciate what is right and best about human beings. Now with discussions of nearly 1,500 movies, dozens of evocative movie images, and much more! Positive psychology is regarded as one of the most important developments in the field of psychology over the past century. This inspiring book uses movies as a medium for learning about the latest research and concepts, such as mindfulness, resilience, meaning, positive relationships, achievement, well-being, as well as the 24 character strengths laid out by the VIA Institute of Character. Films offer myriad examples of character strengths and other positive psychology concepts and are uniquely suited to learning about them and inspiring new ways of thinking. This book systematically discusses each of the 24 character strengths, balancing film discussion, related psychological research, and practical applications. Each chapter outlines Key Concepts, Relevant Research, an Exemplar from a key movie, Overuse/Underuse, Key Enablers and Inhibitors, Practical Applications, International Cinema, and a Summary. Watching the films recommended in this book will help the reader to practice the skill of strengths-spotting in themselves and others, inspiring self-improvement. Practical resources include a suggested syllabus for a complete positive psychology course based on movies, a list of suitable movies for children, adolescents, and families as well as a list of questions for classroom and therapy discussions. Positive Psychology at the Movies is conceived for educators, students, practitioners, and researchers, but anyone who loves movies and wants to change their lives for the better will find it inspiring and relevant. Read this book to learn more about positive psychology – and watch these films to become a stronger person! "This is the most important book about movies of our times." 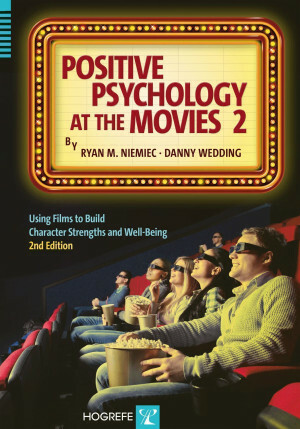 "Positive Psychology at the Movies 2 is an easy, convenient, and fun but serious way to learn about Positive Psychology. Importantly, it provides resources for applying the science to one's own life and for bringing it to others so that all may flourish." "Positive Psychology at the Movies provides a creative way to explore positive psychology principles through the exploration of films [and] an impressive approach to teaching. Any psychology educator will find a plethora of films to use to teach a wide array of psychological concepts and principles that extend beyond Positive Psychology and are legitimised by rigorous research. This book could be used as a form of cinematherapy [and] would certainly be a useful tool to consolidate psychological concepts and inspire behavior change. "The new inclusions of film exemplars and extended appendices add to the quality of teaching resources that the book provides. "In addition, its stimulating and contemporary presentation should encourage a broader audience including lay people who want to evaluate the meaning of movies." "Need a dose of courage? An injection of humility? A dram of teamwork? Then look no further than the movies for inspiration. 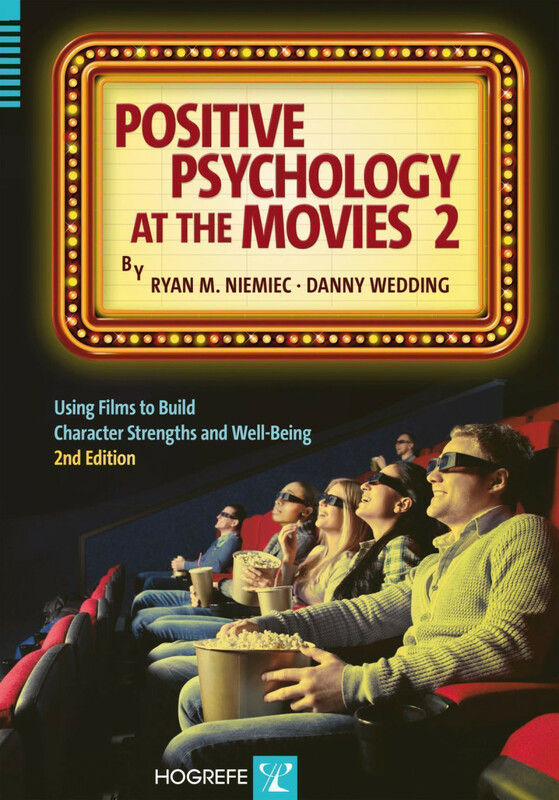 Positive Psychology at the Movies: Using Films to Build Character Strengths and Well-Being (2nd ed.) is a tightly organized, thematically interesting, and, of course, utterly positive guide to viewing films through the lens of flourishing. Film is a natural medium by which to illustrate psychological concepts and bear witness to the experiences of (fantastical) others.The book’s purpose is to highlight films that ‘portray and inspire character strengths’, and it succeeds….exemplar films are discussed and dissected according to their respective key concept, relevant research, signature strengths, strength dynamics, benefits, and coping. The book lends itself to classroom use, as evidenced by Appendix E, “Questions for Classroom, Therapy, and Movie Group Discussions”, and by Appendix G, “Syllabus of a Positive Psychology Course That Uses Movies”. As well, it can be a tool in individual and/or group therapy. "[The authors] encourage the reader to watch films with an eye on strengths and well-being. They ask us to watch mindfully instead of passively, and to take lessons from the films and apply them to our own lives... [They] also give practical applications for mining the most character strength knowledge from a film and ways to bring that learning into daily life. There is a great deal of information here. "The most intriguing part of [the] 470-page book ... focuses on the ways in which movies can support Martin Seligman’s PERMA model of human flourishing... The learning possibilities are endless." "[A] valuable book. As a business consultant and leadership coach, I continually look for ways to help my clients increase their awareness of their leadership style, and how their personality and sense of self informs this awareness. The use of films and clips (including examples from television) are a valuable tool. I have already shared this book with my peers..."
"It becomes clear at first glance that the authors have a thorough fundamental understanding of positive psychology, extensive experience in critiquing and evaluating films, and a true passion for uniting the two." Derrick Carpenter, MAPP, in Positive Psychology News Daily. For full review see http://pos-psych.com/news/derrick-carpenter/200810221090. "There is so much to learn from this book. Using the model of character strengths and virtues from Positive Psychology, Niemiec and Wedding have developed an outstanding way to view movies and learn about your strengths and virtues." "Positive Psychology at the Movies is an engaging read. As well as providing a plethora of ideas for educating students about values, it also stimulates intellectually and would inspire anyone with an interest in films to compile a list of must-see movies. I would see this book as a useful teaching tool for many university courses. Each chapter can be read on its own. The significance of the movies for the particular strength is linked with a clear synopsis of relevant themes and characters. I also could also envisage the whole text used as a university elective in either psychology or education." "... a useful and inspiring work... most suitable for students on postgraduate courses in psychology... final-year undergraduates studying clinical or health psychology modules may also find it useful... of use to academics involved in theteaching of positive psychology, particularly as a basis fordeveloping inspiring teaching materials for their students... practitioners might also find this book to be of valuein working with some of their clients..."